Lozi’s commercial services offer a fully bespoke reworking of your business or commercial premises. Our experience in client led bespoke and made to measure interior design can create unique interiors specifically adapted to your business’s needs. Get in touch at info@lozidesigns.com to discuss your own project. 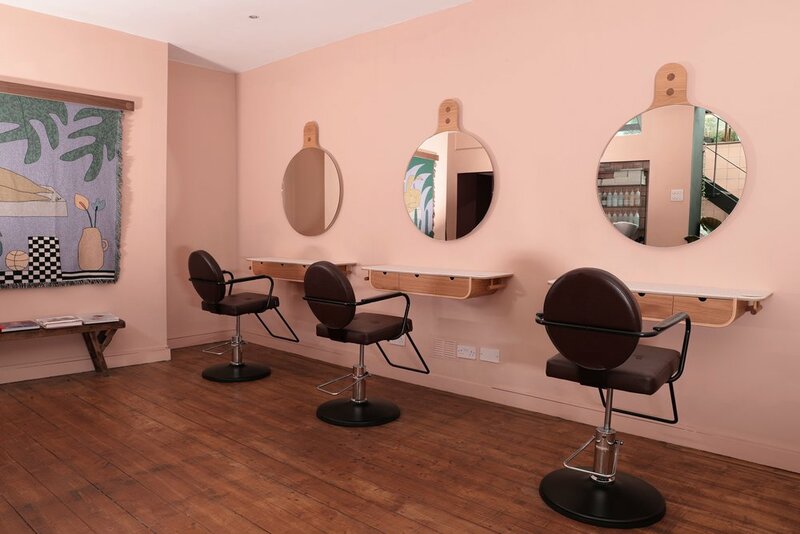 Combining sustainable hair care with eco-friendly practices, Buller and Rice turned to Lozi to continue this approach throughout their interiors in their first salon in Newington Green, East London. 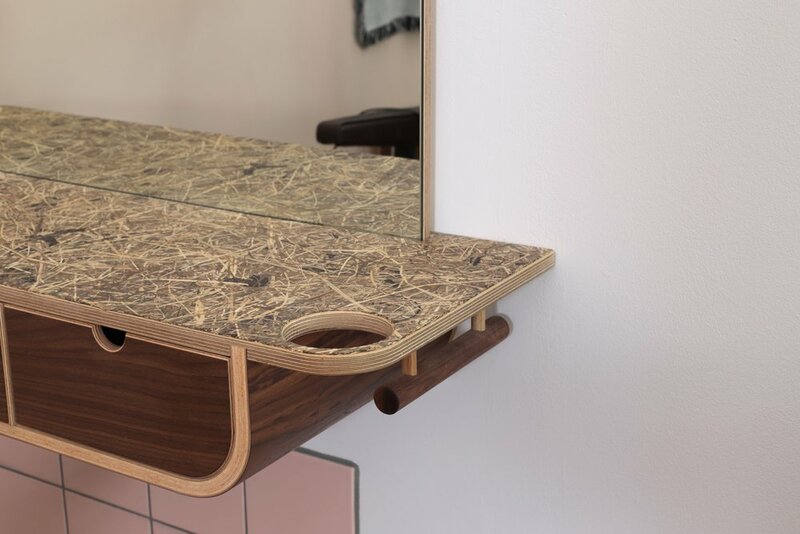 Combining our signature luxury plywood designs with specially sourced cutting edge sustainable materials, Buller and Rice proves that luxury high quality design can also be sustainable and environmentally friendly. From designing unique one of a kind stand alone pieces to small details that make all the difference to the daily running of a business, Lozi can ensure your premises are perfectly adapted to your business and commercial needs. The upper area of the salon, with side board and stations by Lozi. Co-founder Anita Rice wanted to keep the design of the salon sympathetic to the original shop, designing the space and colours around an original mosaic floor in the entrance. 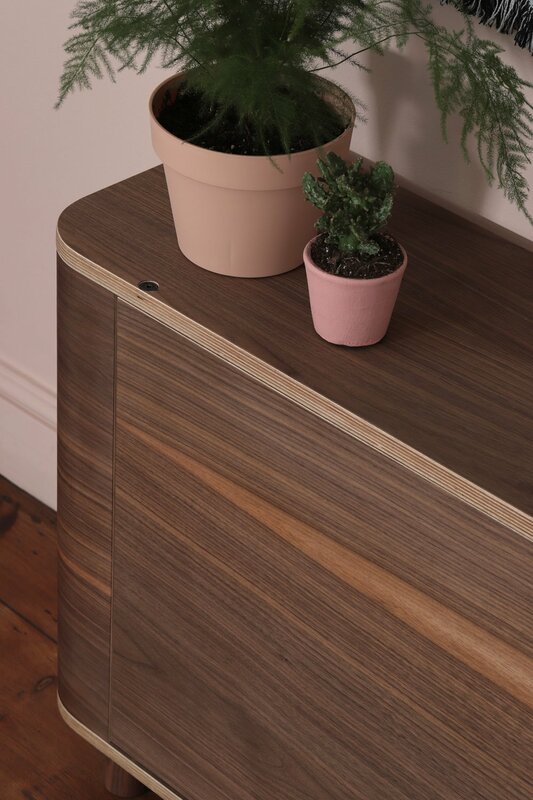 For the stations upstairs, Lozi combined sustainable plywood with deep walnut veneer to offset the brand’s green and pink colour scheme. 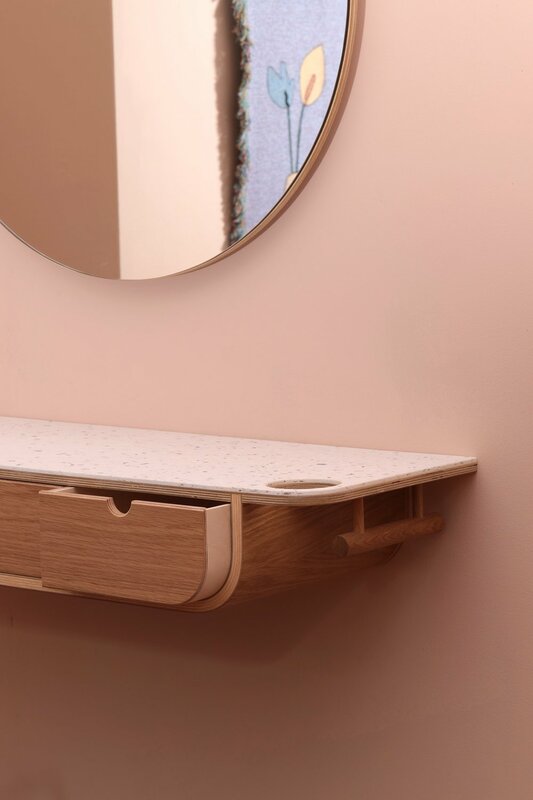 The surfaces are made from a bio laminate with recycled straw, with made to measure storage and details specifically designed for the salon like hidden handles to hook brushes onto and an easily accessible hairdryer holder in the corner. Lozi’s bespoke one of a kind sideboard specifically designed for the salon. The full station, with recycled Belmont chair. The stations in the downstairs area. The individual station set up with recycled Belmont chair. Smile Plastic’s recycled yogurt pot surface. A neat line of made to measure oak and recycled plastic stations. Made to measure storage drawers and holders specifically suited to the salon’s needs. The elegant and luxurious reception area, with ample storage area. 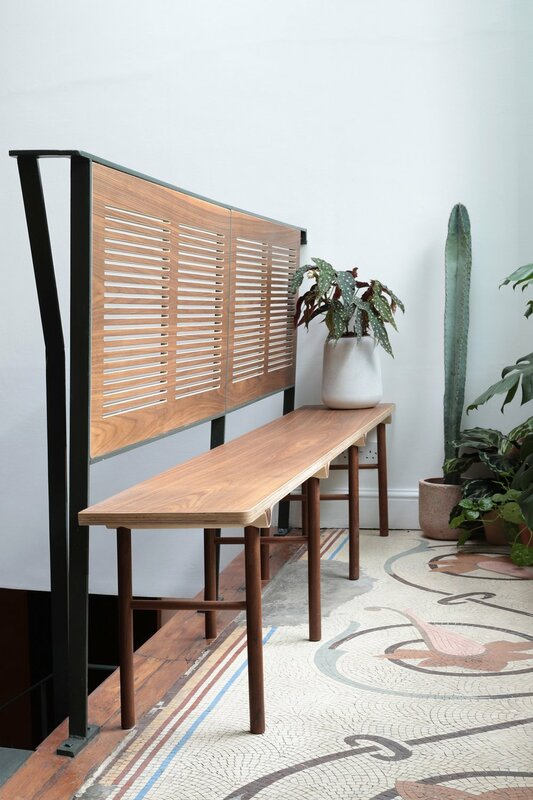 Lozi’s bespoke wave bench in walnut uses handrail as a backrest, optimising the waiting area space. The reception area has a bespoke curved till and long bench in luxurious walnut veneer, both unique pieces specifically designed for the salon. The till area has specific areas for computers, cash machines and paperwork, all designed to hide away any unsightly electronics and charging stations. Bespoke shelves proudly display the refillable and sustainable hair care products on offer. A close up joint detail on the reception desk. Unique lamps designed specifically for the salon. A detail shot of the one of a kind sideboard. 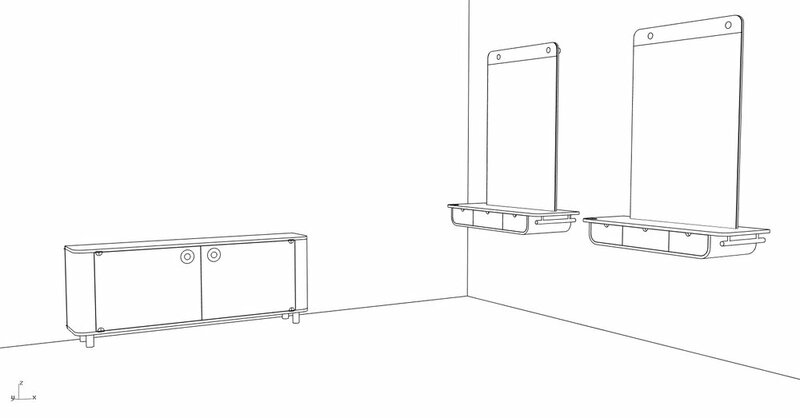 After the quote confirmation, design consultation and site visit, you will receive a 3D model of your premises to help you visualise the outcome. Want to update your own commercial premises? Get in touch!